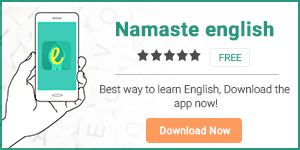 Home Learn English Things you need to know before building English vocabulary? English has become an important part of our personal and professional lives even though its not our first language. In today’s time, English has almost surpassed Hindi as the preferred language of both communication and instruction . Realizing how important English has become, most of us wish to be good at it. Even though most of us have been taught English at school, we still struggle while making conversations in this language. Now some people think that the only reason they are not good at English is because of insufficient vocabulary. This is their biggest misconception. Knowing a lot of English words may not mean that you are good at this language. One must know the proper usage and the art of putting these words together to frame a sentence. Another thing about vocabulary building is that you need to know not just the meaning of those words but also their correct usage. For example, even if you know the meaning of the word ‘Verisimilitude‘, it doesn’t matter unless you know how to use it in a sentence. Always try to memorize a word along with its usage. Sometimes you do not need to have thousands on words in your vocabulary to be able to make a conversation. You already know enough. Take yourself as an example and think of the language you use to communicate on a daily basis. How are you able to communicate with people effortlessly in the language you use daily? Its because you know all the words you need to know to put a sentence together and you keep it simple enough for the other person to understand. This is a golden rule before learning any new language. Always keep it simple enough to ensure that the other person understands. You don’t have to be a vicious vocabulary viper to do that. The third rule about vocabulary building is your own interest in the language and your will to learn it. You have come across plentiful complicated words in this blog post itself. We even underlined them for you. But did you look them up before proceeding to the next paragraph? Half hearted attempts do not fetch you half results. They fetch you no results at all. Develop that interest and the keenness to learn something new everyday and improve. Next articleHow to build vocabulary to start thinking in English?